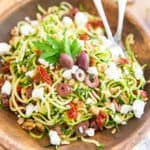 As tasty and refreshing as it is fun and unique, this Zucchini Carpaccio Salad is filled with wholesome and nutritious ingredients that’ll do your mind and body good! The original recipe was pretty much perfect as it was, so I didn’t change anything to the list of ingredients. The only thing that I did differently is that I chose to draw the water out of the zucchini before adding the rest of the ingredients to it. Not only does this extra precaution give the zucchini a much crunchier texture, but it also ensures that you don’t end up with a puddle of water at the bottom of your plate before you’re even done eating! 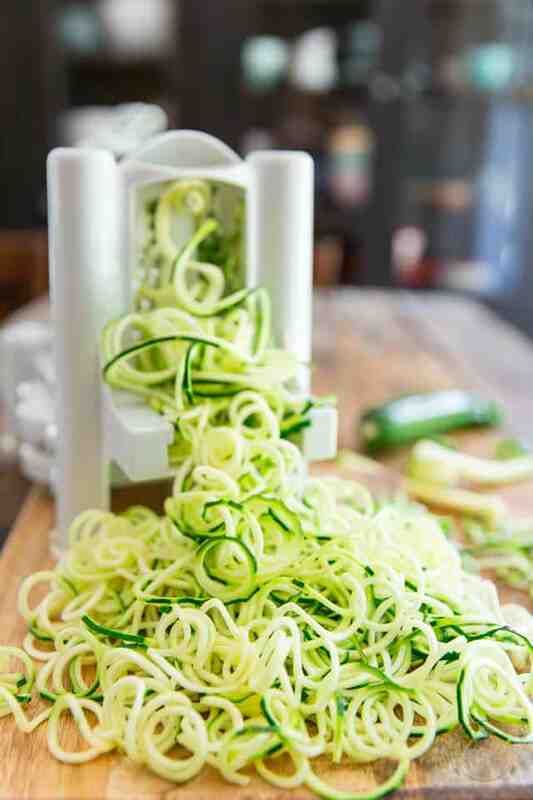 To start, turn the zucchinis into noodles with the help of a spiralizer. Note that if you didn’t own one of those cool gadgets, you could use a mandolin instead, to slice the zukes into long thin strings. 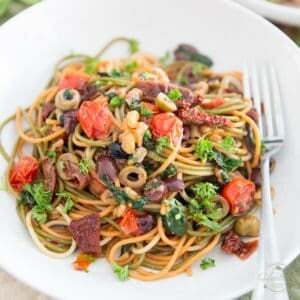 But you should definitely consider investing in a spiralizer. 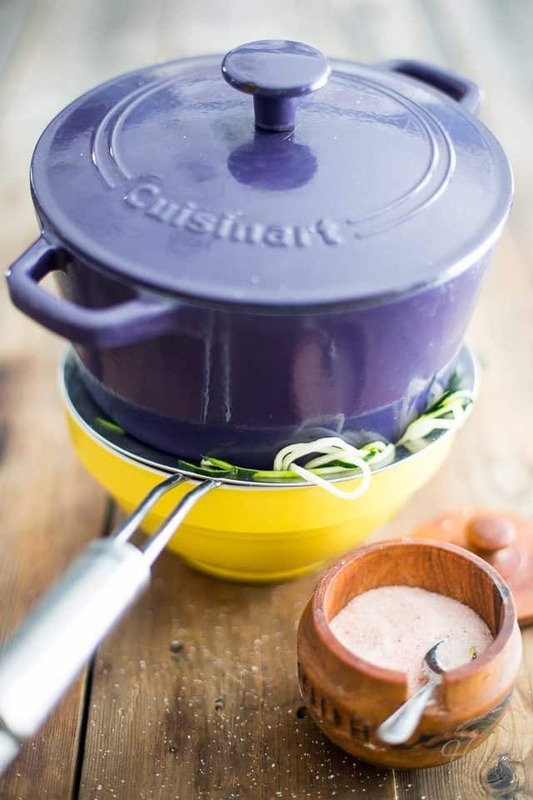 While it’s not a tool you’ll be using every day, it’s fairly inexpensive and so cool and unique, you’ll be happy to have it handy… plus, you’ll see: turning all kinds of stuff into noodles is pretty cool… and addictive, too! Once your zucchini has been dealth with, sprinkle the strings generously with salt and place the whole lot in a fine meshed sieve fitted over a bowl. Now place a fairly heavy weight over the zucchini to facilitate and speed up the draining process. You’ll want to let that water drain for about 10 minutes. Meanwhile, prep the olives, sun dried tomatoes, walnuts, garlic and parsley. Then, place all the ingredients — except for goat cheese — in a large mixing bowl and toss delicately until well combined. Transfer your salad to a serving plate and crumble goat cheese over top. 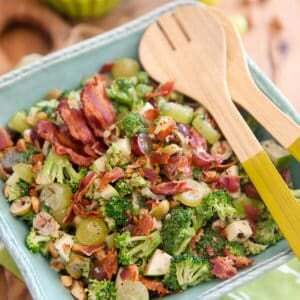 This salad should be served and enjoyed right away, but you could also place it in the fridge for a couple of hours, or up to overnight, to allow for flavors to meld. 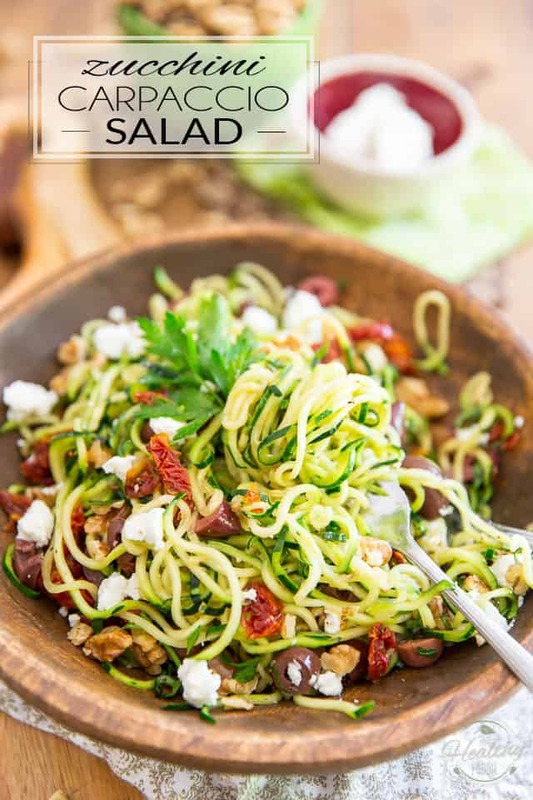 Since we’ve already taken the precaution of drawing the water out of the zucchini, there’s no need to fear that you’ll end up with a big bowl of soupy salad! If eating it as a main course, you’re looking at 2 light servings. As a side dish, you’ll probably have enough to satisfy 4 people. 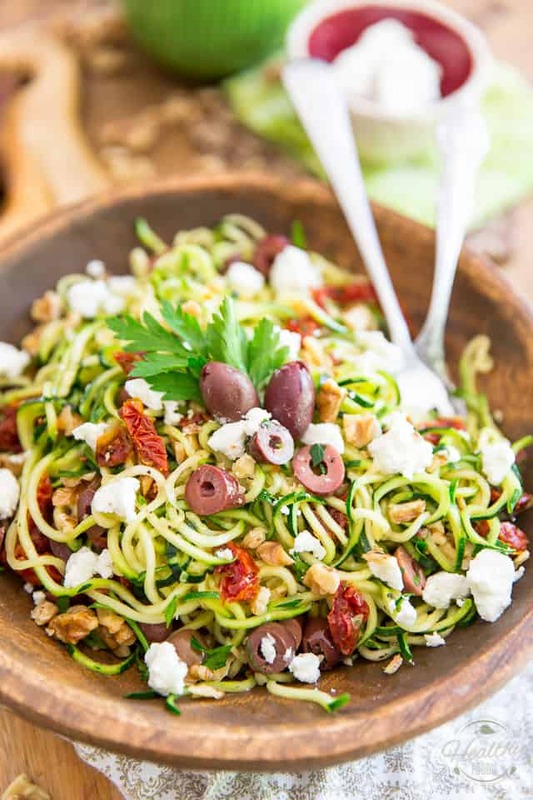 As tasty and refreshing as it is unique, this Zucchini Carpaccio Salad is filled with wholesome and nutritious ingredients that'll do your mind and body good! 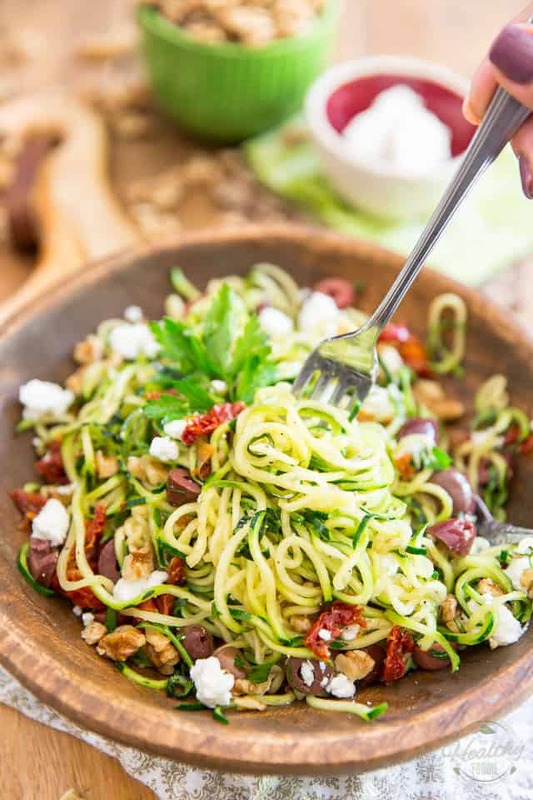 Turn the zucchinis into noodles with the help of a spiralizer; alternately, you could use a mandolin to slice them into long thin strings. Once that's done, sprinkle the zucchini strings generously with salt and place the whole lot in a fine meshed sieve fitted over a bowl. Now place a fairly heavy weight over the zucchini to facilitate and speed up the draining process. You’ll want to let that water drain for about 10 minutes. Meanwhile, prep the olives, sundried tomatoes, walnuts, garlic and parsley. Place all the ingredients - except for goat cheese - in a large mixing bowl and toss delicately until well combined. Transfer to a serving plate and crumble goat cheese over top. 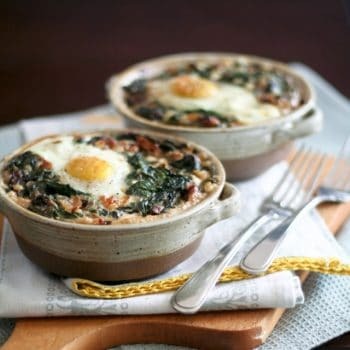 Serve immediately or place in fridge for a couple of hours or up to overnight, to allow for flavors to meld. *Editor’s Note: This post was originally published in November of 2011 and has since been completely revamped and updated with better pictures. A few minor modifications to the original recipe may also have been made. 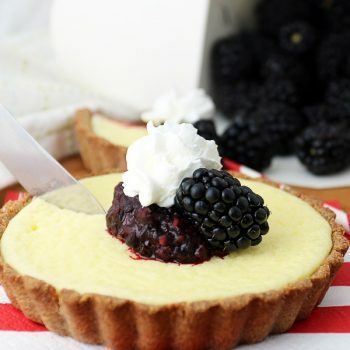 This does look very delicious and delectable as well! 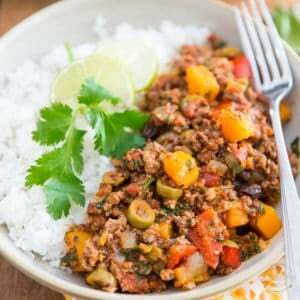 This looks so beautiful, fresh, and easy! This one is going on my list of things to make soon. 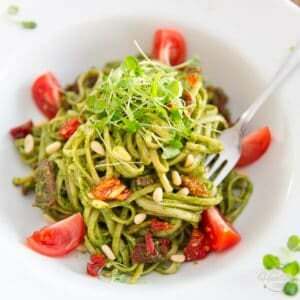 I love the idea of using zucchini as spaghetti noodles. Sonia, you come up with the most interesting combinations. 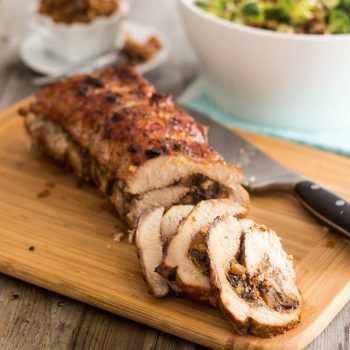 After Thanksgiving feasting for several days, this looks so light and healthy. Now I know what to do with the zucchini that’s in my fridge. This looks absolutely beautiful and a great meal to cleanse up the last few days! I have to say WOW. 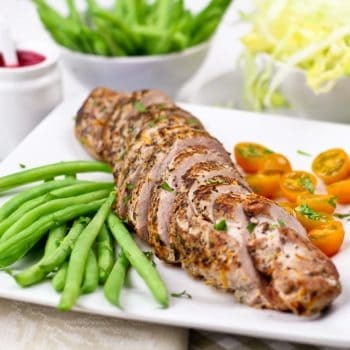 This meallooks great, and I am sure it tastes the same. Have to prepare it soon. Maybe I will just add another type of cheese, because I am not a big fan of goat cheese. Any ideas which one I could use to replace it? J.
Hmmm, I dunno! Goat cheese does a lot for that meal. Maybe a mild blue? If you are a fan, of course. Or, just don’t use any cheese and add Brazil nuts, maybe, or raw cashews… or chickpeas, perhaps? Just let your imagination guide you! 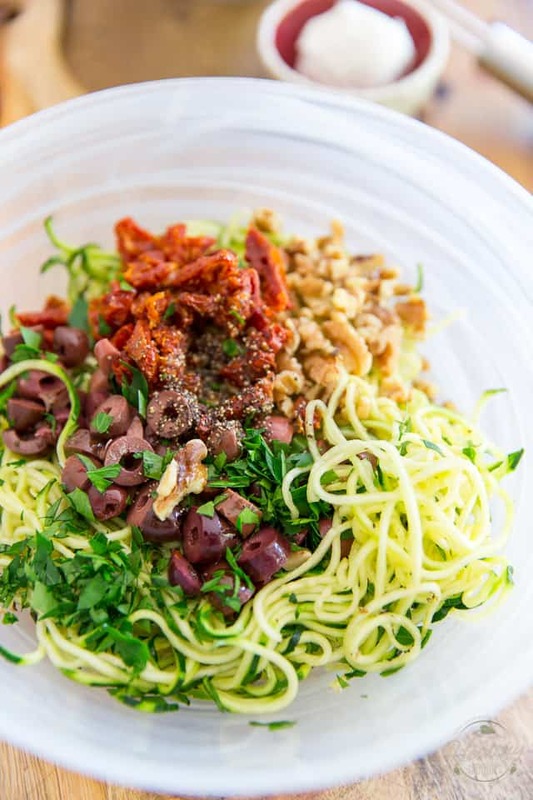 I’m not a “raw foodie” either but I do really love raw zucchini noodles – and I love how you’ve prepared them! This looks great! I am very intrigued by the raw food movement, but have no intention of eating that way full time by any other means….hah, ‘eating full time’, like it’s a job. Well, it’s everyone’s job! It’s interesting, because it brings up a big debate of when is your food most nutrient dense, and it really depends on how you cook it. I find that the prep time for raw stuff sometimes looks long. 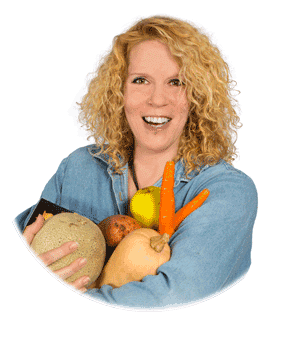 I’m hoping to check out a raw food fest this weekend, so hopefully that’s inspiring! You make me want goat cheese! Mmm. Totally agree. This is really what is discouraging me from eating raw more often. All the recipes require prep time, as in soaking, dehydrating, fermenting and what not. One would think that raw equals easier and quicker, but it seems like it’s quite the opposite. And is raw really better than slightly cooked? Not sure… and really not sure it’s worth all the extra effort. I was mere smittened by this recipe the second I stumble upon it via good ol’ Tastespotting, but I was just curious, if I don’t have a mandolin could I just substitute a potato peeler for the spaghetti?